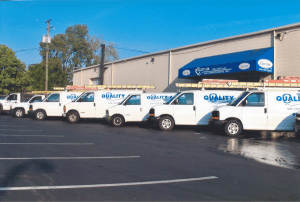 Quality Air Heating and Air Conditioning > Articles > Holiday > Happy Valentine’s Day from Your Central Ohio Area Heating and Air Conditioning Contractor! Happy Valentine’s Day from Your Central Ohio Area Heating and Air Conditioning Contractor! Everyone at Quality Air Heating and Air Conditioning wishes you a Happy Valentine’s Day! Valentine’s Day is all about showing your appreciation for your loved ones. Whether it is your significant other, your family, or your friends, it is a great time to let them know how special they are to you. A handmade card, a bouquet of flowers, or even a simple phone call can make someone’s whole day. If you are thinking about a big gift for your family, an upgrade to your HVAC system might not be the most romantic gift, but it is a gift that keeps on giving! An air filter will keep you indoor air clean, and a new furnace or heat pump will make your home more comfortable and lower your utility bills. Making your home cozier is something your whole family will appreciate!